On tonight's episode of Bar Rescue, Jon Taffer and crew are headed to Rockaway Beach, NY to rescue The Bungalow Bar. This is a special Hurricane Sandy episode where they help with the rebuilding of a bar that was damaged during the storm. As this is more of a renovation type show than the typical rescue, there will be no name change to the bar. "Wow. This place has an incredible view. The bar area is nice with plenty of standing room and doesn't seem over-crowded...Def worth the trip for the view itself." "Oh my Gawd! I absolutely Adored It! Great Place to Chill and enjoy summers sunsets. Ambiance is fun and friendly Seafood good too"
"I love Bungalow bar it became a family favorite and fell in love with staff who are amazing and have to say there food is so fresh and delish"
"Bungalow Bar & Restaurant has a great atmosphere. It's a nice place to go in the summer for dinner/drinks with outdoor seating, overlooking the bay." "Been here before for drinks, but finally got a chance to eat here a few days ago. I had the fried fish sandwich which knocked my socks off. The slaw on top was DELICIOUS. I just ordered the food at the bar, but was happy with service I received. I will be coming back to eat soon! Yummy!" "If you keep an open mind, this might just turn out to be one of the most fun nights you've had in awhile. This was my first time to the Rockaways and everything about the trip surpassed my expectations in a good way." "We walked in, received a friendly greeting from the hostess, and then sat down at the bar. We walked out (beerless) after about 20 minutes of waiting for the bartender to acknowledge us, let alone ask our order. I don't mind waiting a bit if it's a busy night, but the bartender was super quick to fill orders for everybody else at the bar, just not us"
"2 Stars for the lack of attentiveness from our waitress which made the experience a little less than desirable." The Bungalow Bar keeps an up to date Facebook page and Twitter page. A documentary was made about the Bungalow Bar after Hurricane Sandy, but you need a password to view it. Jon brought the owner of Spirits on Bourbon to come along for this makeover. Spirits on Bourbon is in New Orleans and is one of the most successful Bar Rescue's to date. Here is an interview with Jon Taffer and Terence Tubridy on WSJ Live. This Bar Rescue episode is a little different than most as it is helping out bar owners that are in need of renovations due to Hurricane Sandy. The usual Bar Rescue episodes deal with incompetent owners that are struggling for various reasons. The reviews for The Bungalow Bar since Bar Rescue are pretty much all positive, and most give 5 out of 5 stars. People like the food, the view and the vibe of the bar, while there were a few complaints about bar service. 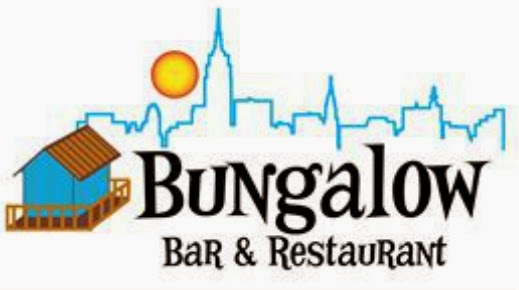 The Bungalow Bar was able to open in time for Memorial Day, which is the unofficial start of summer in resort towns. They should have no problems succeeding if the hurricanes stay away. It was really nice to see Jon helping out people who were doing it right but were set back by a natural disaster. No surprise that they're doing well now. These people truly deserved his help. While I like the "turn the bar around" format, it's way more satisfying to see all that work go towards people that will actually appreciate it. What I don't get about this episode is why did they spend 250k then run out of money? Wouldn't their insurance cover the costs of rebuilding? It was established they were successful prior to Sandy so I would assume they had insurance? They never mentioned it... very strange. Insurance money was taking way too long to come in to people out there after Sandy. Not being open for the summer season would have most likely killed the business. If they had to wait for the insurance money to come in for the renovations, they would have never been able to open. The insurance Companies, FEMA, Red Cross, NYC & other so called AID organizations did anything to help the residents & businesses of Rockaway. We are still recovering now....August 2014. We are STILL without protection on out coastline from the next storm!! Our boardwalk has not even been rebuilt!! Where did all the money go that was raised to help areas like Rockaway that were devastated by the storm?? No idea. Thank God for grass roots organizations like The Church of Latter Day Saints Helping Hands, Team Rubicon, NY Cares & others....who actually came here & really helped. Thanks to Bar Rescue for rebuilding The Bungalow.....this gave us some hope for Rockaway! Thanks for letting me know. I live in Canada and there was a massive push for rescue efforts at the time but we haven't heard anything since. I personally haven't read anything about these problems, or insurance not helping at all. This is something that should be on a Primetime special, or at the very least explained in this episode! A lot of insurance doesn't cover flooding unless you specifically have flood coverage, which people don't think to ask for so they get screwed. Glad the Bar is doing good. Shame on those Pukes who stole the kitchen equipment! I hope they're rotting jail even as I write this. It takes a really low-life kind of scum to steal from people who have already suffered a great loss! Pukes who do crap like that forget, Karma has a way of biting people like them hard on the Rear!